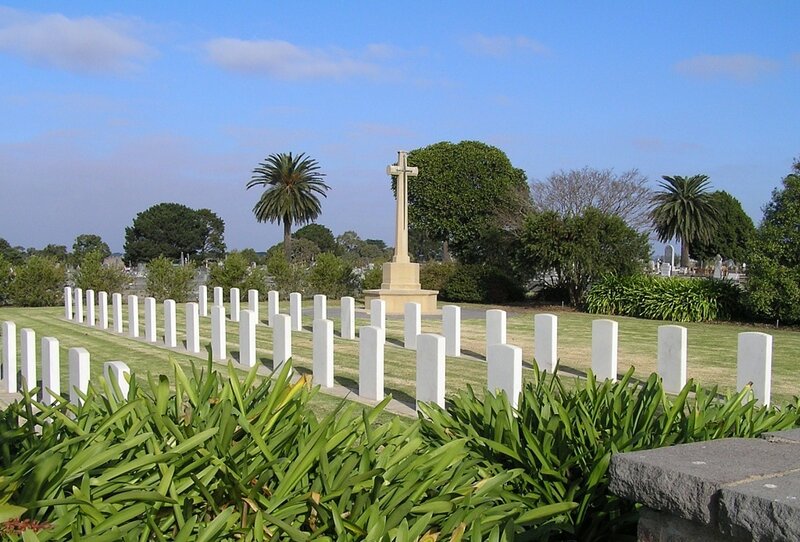 Bairnsdale War Cemetery is situated within the Public Cemetery on the south-west corner of the Cemetery Extension (see above). It contains the graves of 38 Australian airmen, who died through illness or flying accidents while training. The War Cemetery is enclosed by a fence screened by various kinds of shrubs and has a stone-paved entrance with iron gates. The Cross of Sacrifice stands at the far end, opposite the entrance, and the Graves are set in level mown grass.